This post is the news Hawaiian Airlines 330 – 32 cent hot dogs – more which highlights news from around the web. I read a lot of blog articles and travel news every day. This post includes some of those articles. If you see a great article worth sharing, let me know and I will include it in the next post. I appreciate your support of the John the Wanderer blog when you use one of my affiliate links for shopping, travel booking or checking out other reviews online. Get a Priority Pass membership and enjoy the comforts of a great lounge while saving 10%. Get free rides on Lyft and your first Uber ride for free. 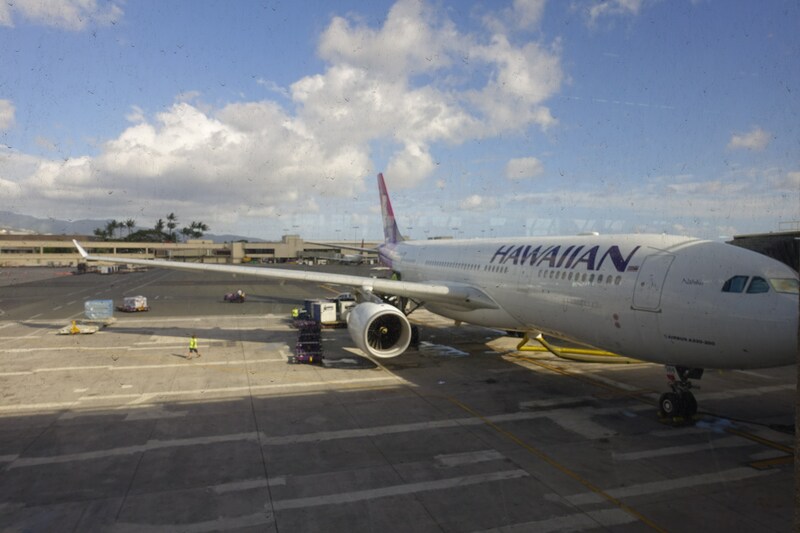 Review: Hawaiian Airlines (A330) First Class From New York to Honolulu – The Points Guy covers Hawaiian Airlines A330 First class experience between New York and Honolulu. The cabin looks nice and the decor sets a vacation tone. I can only imagine the experience further is enhanced with the first sip of the Mai Tai! Cheap Eats! Feast on 32 Cent Hot Dogs for Papaya King’s 85th Anniversary – I’ve stopped at Papaya King several times when I’ve visited New York. They have amazing hot dogs and awesome papaya drinks. If you will be in New York in March, hopefully you can take part in the 32 cent hot dog offer. Travel Codex Scholarship Program – Travel Codex is offering a scholarship to a lucky reader to help get started on your travel adventure. Scott talks about his first travel experience backpacking. It makes me think back to my first visit to London and how awesome the experience was. Travel Contests: Week of February 22, 2017 – There are a lot of great contests this week. You could win a trip to Italy, Disney, Costa Rica, Peru and many other great experiences. Check it out and good luck! Hotel Review: Hyatt Regency Hong Kong, Tsim Sha Tsui – I love Hong Kong. In fact, it is my next destination. It looks like Will Run for Miles had an excellent experience staying in TST at the Hyatt where she enjoyed great food and an awesome view. Where to sit on United’s new Polaris 777-300ER – United is introducing the first aircraft with the true Polaris seats. A few lucky bloggers got to experience it on the media flight from Chicago to San Francisco. They all got to travel in the business cabin and this post covers where to sit on the airplane. Hopefully I will get to experience the new aircraft soon. An Interesting (New?) Type Of Discounted Disney World Tickets That Might Save You Some Money – Pizza in Motion covers discount Disney tickets. My family recently went to Disney and they mentioned how complicated the ticket options were. I know years ago when I last visited tickets were almost $100 a day for all park access. Now I know it is much higher. But at least you get to pay for everything with a cool wrist band now! What does your routine look like when flying? – I tend to zone out and watch a movie on a flight, have the meal and then work on my laptop during the middle of the flight before trying to catch some zzzz’s. What is your routine? What stories are you reading today? I wish I was going to be in New York this month to get the awesome deal at Papaya King!